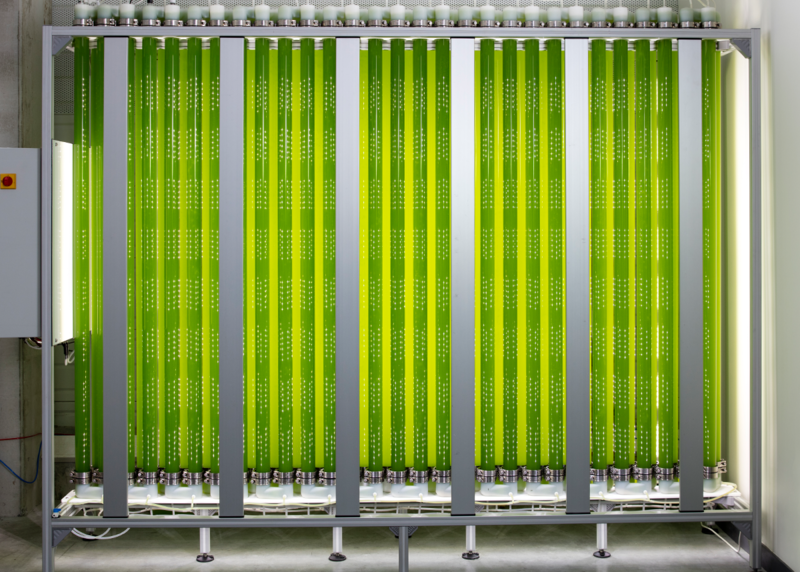 JUMBO is the solution of the Synoxis Algae range for producing biomass in large quantity. It offers to the user a tool with a cultivation volume adapted to its needs. His modular geometry gives various possibilities of installation to obtain high productivity in a reduce space. Moreover, JUMBO is a cultivation system very complete and affordable. 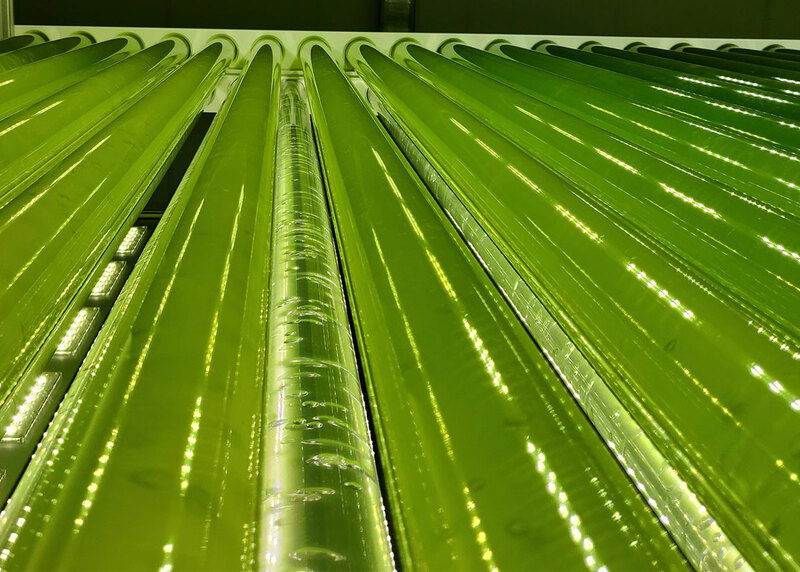 Indeed, the SALT technology included in every Synoxis Algae’s photobioreactors achieves concentrations and productivities superior to traditional systems. It’s also the SALT that allows the majority of microalgae to be cultivable in a JUMBO. 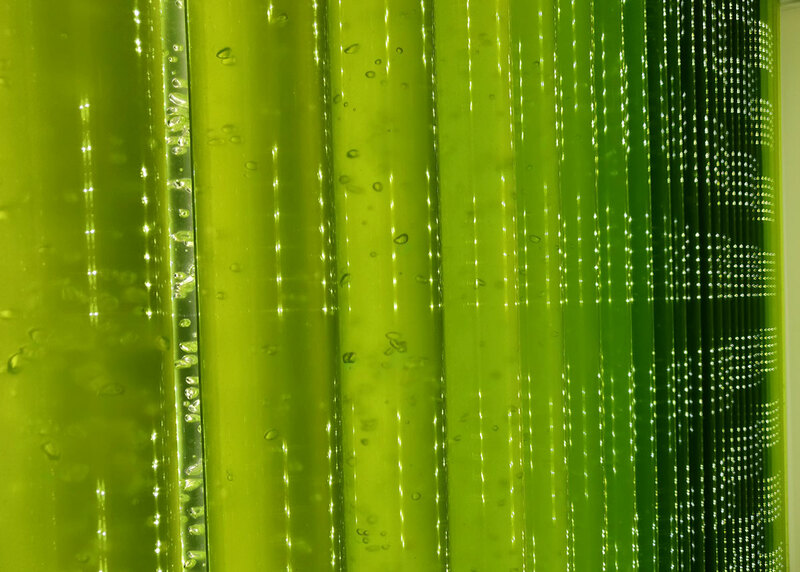 This photobioreactor is therefore totally adapted for the development of a microalgae factory project or for a significant production of biomass. JUMBO is brave in character and can acclimate itself easily to its environment. This system was imagined to be able to adapt to all kind of places. At Synoxis Algae, we are aware that the microalgae market participants can operate in different environments. Therefore, we wish to join you in developing a cultivation system that meets your challenges to a maximum. Its robustness grants the user a reliability for its microalgae cultures. This system allows the cultivator to provide security for its biomass productions all year long. We know that you don’t have all the same needs. That’s why we have created 2 other photobioreactors : NANO and LUCY. Whether you are talking about NANO, LUCY or JUMBO, our goal is to always design photobioreactors with the user at the center of our creative process. Therefore, we wish that are cultivation system be easy to handle. It is for this reason that we have integrated a starter on our industrial photobioreactor JUMBO. For example, a 300-litre JUMBO lunches with a 3-litre inoculum. Convenient, don’t you think ? And even though our JUMBO is the most impressive (it’s true, come meet us if you do not believe us), it is simple to pilot it and its maintenance is easy . JUMBO will simplify your microalgae cultivation process: touch screen, email alert… Everything will be at your disposal so you can pilot, control and adjust your cultivation parameters and find the most adapted ones. You wish a bigger JUMBO ? higher ? Do not hesitate to ask for an estimate to our sales manager Amelie who will be glad to consider your request and respond to you as quickly as possible.